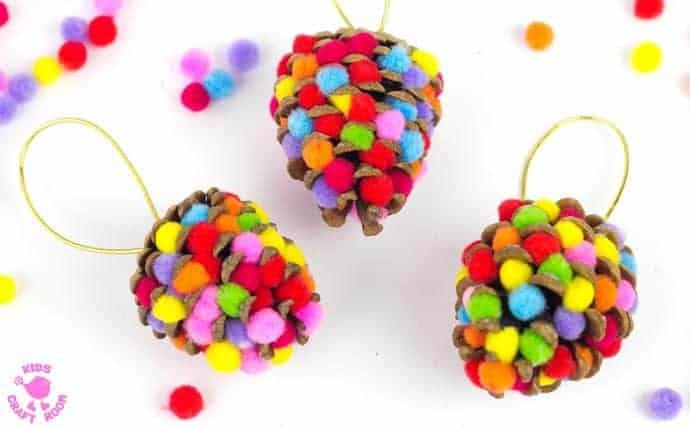 These colourful Pom Pom Pinecones are a delightful Nature craft to enjoy all year round. No one will be able to resist smiling at their bright colours! 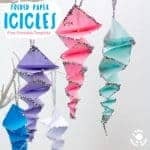 You can use them as pom pom pinecone ornaments for your Christmas tree or as colourful pinecone mobiles for every season. There’s also a fun idea for using them in a pinecone maths game too! I love crafting with natural items like pinecones and sticks. 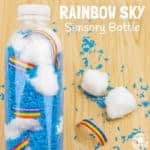 It makes creative activities low cost and is a great way to connect kids with Nature too. 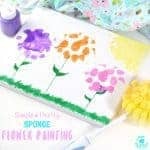 This Nature craft is a great way to build fine motor skills and develop colour recognition with younger children and older children will enjoy making something vibrant and beautiful to put on display! 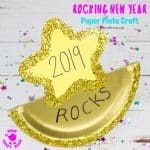 Are you a nature craft fan too? Since they were tiny my kids have enjoyed collecting treasures on our walks. We always have a pile of sticks by the back door (I have to limit the number that actually make it into the house or we’d be over run!) and bowls of pebbles and horse chestnuts. It’s lovely to be able to use some of these natural finds in crafts. I really love how bright and cheerful these pom pom pinecones turned out. 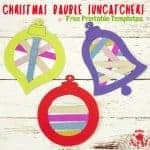 We’ll be using some on our Christmas tree for sure and I have plans to string some off a horizontal stick to make a vibrant mobile that we can enjoy throughout the whole year too. 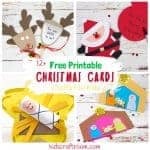 Regular readers will know that we have a hoard of gorgeous nature inspired crafts to enjoy. 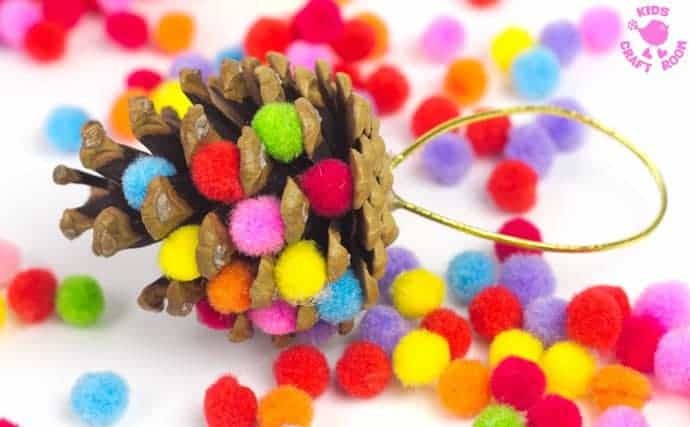 Before you get started on our colourful pom pom pinecones tutorial here are some favourites you might want to pin or bookmark to come back to later. 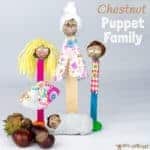 Our Buckeye Puppet Family is a great way to use up fabric scraps and inspires lots of imaginative story telling. 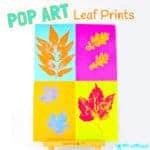 Pop Art Leaf Printing is great fun for all ages and makes a wonderful wall display. 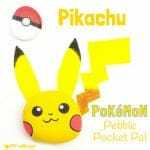 Everybody loves Pikachu and he’s really easy to make with this pebble craft. 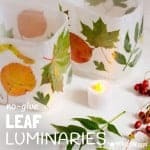 These Leaf Luminaries have been a huge hit, they look fantastic with battery tealights. 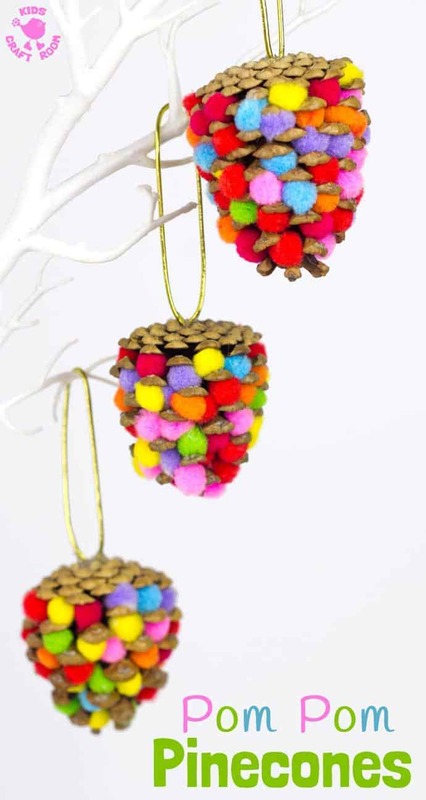 Now back to those colourful pom pom pinecones! Don’t worry if you live in an area without fir trees or you’ve missed the pinecone collecting season. Craft pinecones are readily available online now at a reasonable price and you can get them in all sizes too. 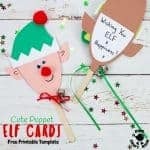 There are even glittered and fragrant versions too! 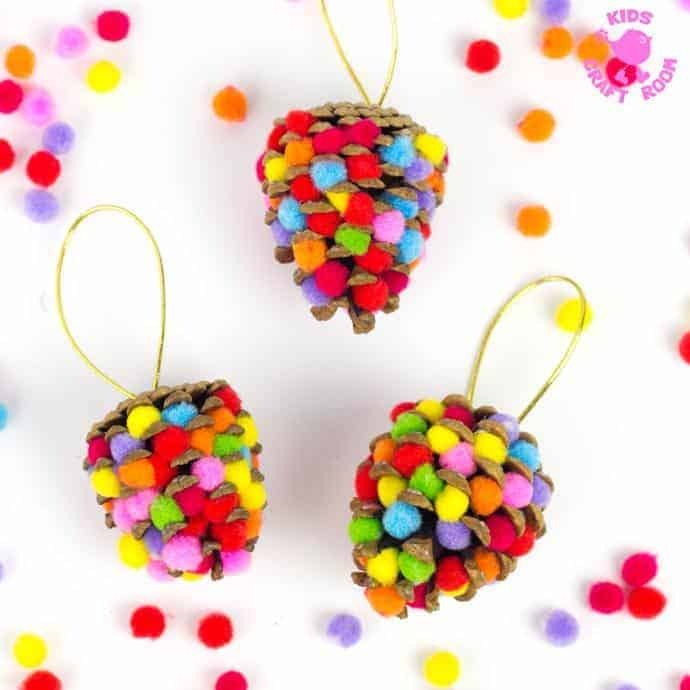 We started making our colourful pom pom pinecone ornaments by cutting some short lengths of gold twine and glue gunning them on to the base of each pinecone. 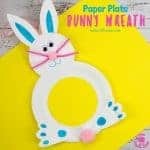 The glue gun gives a lovely strong attachment that will last. Next we filled the gaps in the pinecone with mini pom poms. We didn’t glue ours into place because we chose to stuff the pinecones to the brim so the pom poms sort of held each other into place. 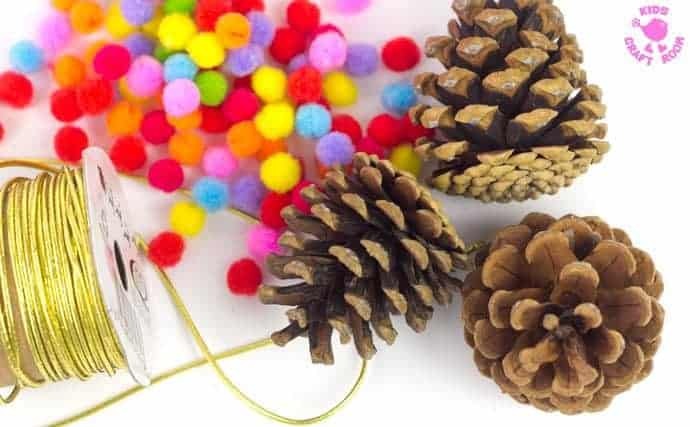 If your children want less pom poms in their pinecone then you might prefer to glue each one into place as you go. 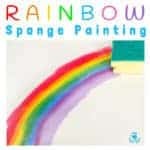 This is a great opportunity to encourage young children to colour sort and name the colours they are choosing. Why not count your pom poms too for some simple maths work. 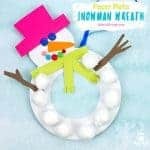 If you don’t glue your pom poms into place there’s a fun and simple math game you can play. Throw the stuffed pinecone onto the floor and see how many mini pom poms jump out. The winner is the one with the most jumped pom poms. 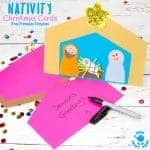 Stuff the pinecones again and have another go! 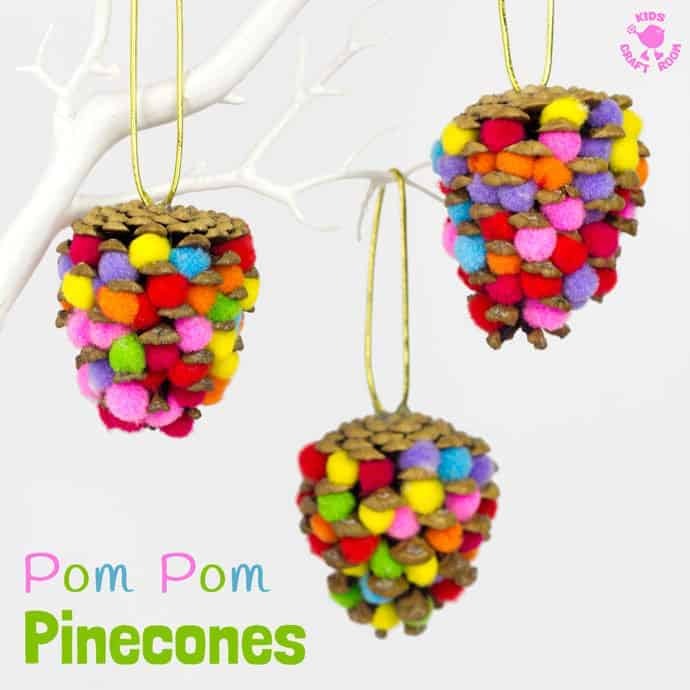 We love the vibrant colours on our pom pom pinecones. They really do look so pretty! I can’t wait to get them hung up and on display. 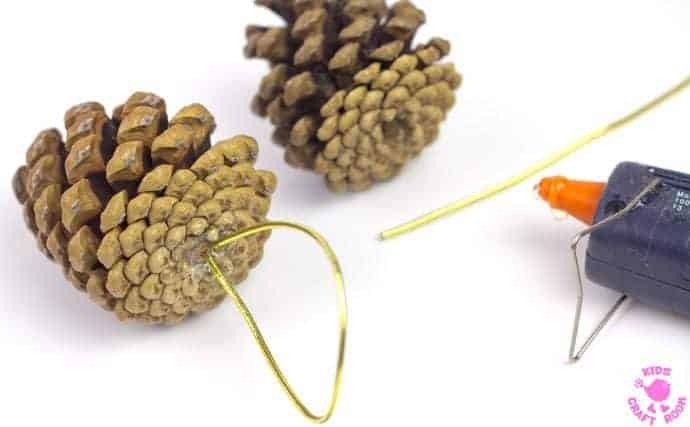 Cut a length of gold twine and glue the ends to the base of the pinecone to make a loop for hanging the pinecone up with. Fill the gaps in the pinecone with mini pom poms. If you want to you can glue the pom poms into place. Hang them up on display. 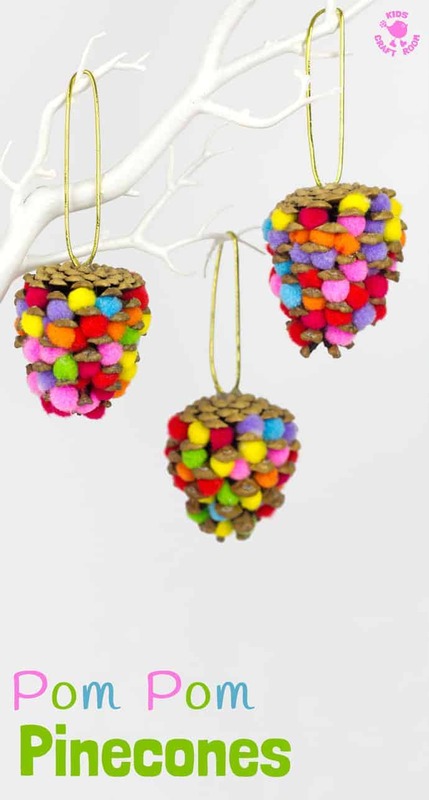 What a lovely idea, I love colourful crafts.. I’ll have to get some pine cones!